Ok, let's go for TWO WEEKS without getting anyone fired by answering questions. Thank you to everyone who has sent in their questions, keep them coming! Any plans for doing a Collector's Edition for Haikyu? And for any past releases like Persona 4 The Animation or From The New World? Will you release more catalog releases on Bluray, even if Sub-Only? Totally looking to Akikan! on Bluray. Cute show. Yes, we are always open to that. In some instances there is what we call a "hold back" that for some reason or another is being imposed upon certain titles. A good example of this is K-ON season 1, which is currently under a blu-ray hold back period. I wish this was something we didn't have to deal with (and in turn, you have to deal with as well), but this is just one of those quirks of the industry we gotta live with. Any news at all on Beyond the Boundary? We will have news on BtB VERY soon, stay tuned! What additional releases can we expect from the Tatsunoko Deal Sentai signed? We have a few more titles that we haven't announced yet, but are in the pipeline for release. As for a certain date, can't really say! Will Infinite Stratos 2 get a BD release? Yes, it definitely will. Can't really say when, things are still falling into place. Hey Sentai, I got 2 questions for you. Have you considered/are you considering Licensing the animes M3: The Dark Metal and Hamatora/Re:_Hamatora? are you also considering doing a dub for Chiaka: The Coffin Princess? We look at every show that comes out of Japan for possible licensing, be it from the current season or seasons that have past. 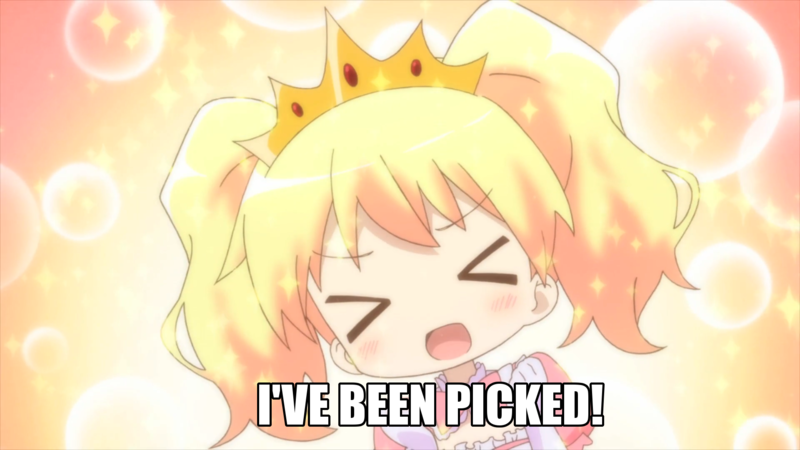 As for Chaika getting a dub...kinda hoping for one personally! What are among Sentai's worst-selling titles? Do the people at the Sentai office enjoy any American cartoons? Sure! I grew up watching Tom and Jerry (I still do), the girl next to me has a really bad Batman addiction, and I know a bunch of other people love stuff like Adventure Time. Are there plans for a No Game No Life season 2? From Japan of course, I know you guys just sub it. We haven't heard anything yet about a potential season 2, but if and when that does happen you can be sure we'll be on top of it! Do you plan on getting season 1 and 2 of Hayate the combat butler because you have season 3 and 4. It's on our to do list! We have some things we are working on, yes! I loved the soundtracks that were included with some of your releases. Any more on the horizon? I've done a lot of impromptu Q&As on Twitter before, and we thought this would be a better way for people to see all the things we've answered. So, here we are! Who's your favorite from Love Lab? Mine is Riko! if you woke up and were suddenly a girl, but in anime form what would you do? How would you react and do and all that? I would straight up be in chibi mode all day every day. That **** is cute.